A background, per a Patreon request! You brew beer, alcohol, or other spirits, because doing so is important. But there was an accident. Perhaps the beer ran out, or something contaminated a large batch. 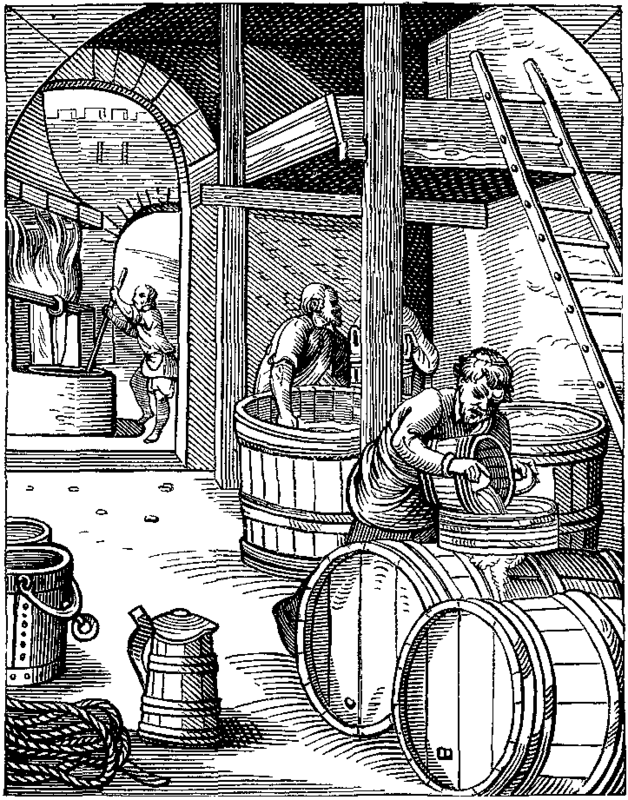 For whatever reason, you don't brew beer any more. Languages: Gain one additional language. Equipment: Two mugs, a mini-keg, a bottle opener, a flask, a bowie knife, one weapon of your choice, a suit of leather armor, and a sleeping bag. Reasons you no longer are a Brewer. The inside of a cask is not a place normal people sleep. I still maintain I don't have an unhealthy obsession with cats. I've been brewing beer for over a decade now, but you go get one monkey. . . Apparently no matter how much you dislike the people in your home town, using the kegs as your personal urinal/vomitorium was bad form. Disreputable brewing techniques using pixies. People didn't like your Opium brew. Rather they did, and that was the problem. You can tell the type and quality of a drink just by a small taste. You are also very familiar with bar culture, allowing you to gain investigation on any rolls made to find out information in taverns and bars. Beer is important to the development of humanity and that's why you learned to brew it. People who drink beer are healthier and live longer, and they have more to live for. I'm tough enough to crush a can on my head. I'm tough enough for this. I don't know how I got involved in this. I just black-out and always show up in the strangest places. If I had to do something responsible with my life, it might as well be something enjoyable. I'm not a fan of drunks, but I like beer and I like crafting it. My best customers are humanoids, not humans! I'd still be doing it today if I didn't dislike politics so much. Callousness: It's not my fault, I was drunk. (Evil). I lost my job, so now I need to find something else to do to support my family. My best customer is my best friend. I have a bunch of secret recipes that no one can ever have. They will make me rich someday. I have valuable brewing equipment that takes up a lot of space. I love going on adventures, but I have to come back pretty frequently to check on my brews. "No! an ale is not a lager!" The world is filled with idiots and I'll never teach them. I have to be a little drunk to cope with even small things. Alcoholism isn't just a river in egypt. I might like the fighting more than the drinking. Conservative teetotaling know-it-alls drive me crazy! The doctor says I have a bad liver, but I don't see what that has to do with drinking. Running a B/X game? Give these advantages instead of proficiency and features. You can alos give these bonuses if running a 5e game using 3d6 for character generation. Often Drunk. When Drunk +2 Str, +2 Con, -1 Int, -4 Wisdom. Well done. I assume you meant "allowing you to gain advantage on any investigation rolls". Nice background. Like an idiot, I clicked the wrong button and erased your comment. Thanks for correcting me, I'll fix the post. No, I meant a place where you pop out from as if vomited forth.